We had a selection of great candidates. So, we decided to offer the position as a job-share to two talented professionals: Ellen Tolsma and Lorna Hutcheon. Ellen and Lorna are experienced in the film industry and their individual skills will complement each other and will be used extensively in this challenging position. 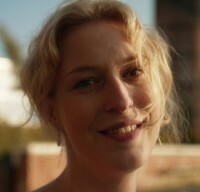 Over the past 10 years, Ellen Tolsma has worked with film in many ways; hands-on production management for festivals and program development for theatres led to her most recent experience in marketing & distribution for an independent film distributor and broadcast company in the Netherlands. As a freelance consultant, Ellen has co-created marketing strategies & solutions for film-related organisations on both the distributing and exhibiting end of the sector. Ellen said, “I am thrilled to collaborate with talented and passionate filmmakers helping them form communities around their work. My aim is to make documentaries meet their full potential and help filmmakers connect with a worldwide audience”. Lorna Hutcheon has worked in a broad range of film-making environments including art, community and feature films. Lorna also ran her own business as life coach and actively used digital marketing tools and social networking to grow her community. She is also a talented writer who has already been contributing to the team effort at Aconite, most notably on Everybody’s Child. 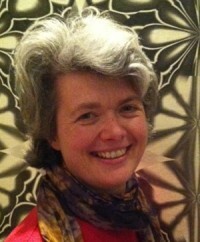 Ellen and Lorna will start their position as PMD in the middle of February 2012.